The 29th International Holy Quran Competitions started at Tehran\\\'s Milad Tower International Convention Center on Sunday. Officials and reciters of Holy Quran from more than 65 Muslim and non-Muslim countries have taken part in the six-day event, IRNA reported. Hojatloleslam Mohammadi Golpayegani, head of the Supreme Leader\\\'s office, Seyyed Mohammd Hosseini, Minister of Culture and Islamic Guidance, and Iranian MPs and ambassadors were present at the opening ceremony of the event. Representatives of 65 Muslim and non-Muslim countries took part in the 29th edition of Iran\\\'s International Holy Quran Competitions. The jury of the contest has 14 members, 5 of whom are Iranian and the rest are from other countries. A Quran memorizer from Isfahan province and a Quran reciter from Khuzestan province will represent Iran in the memorization and recitation sections of the international event. Iranians win first prizes at 29th International Quran Competition An Iranian Quran reciter and a memorizer won the first prizes at the 29th International Quran Competition, the organizers announced in Tehran on Friday. Qasem Moqaddami received the first prize in the recitation category and Hossein Motamedi won the first prize in the memorization category, Persian news agencies reported on Saturday. They were selected from among over 50 reciters and 40 memorizers competing from about 70 countries. Majlis Speaker Ali Larijani, Minister of Culture and Islamic Guidance Mohammad Hosseini, and a number of Iranian officials attended an award presentation ceremony held at Tehranâ��s Milad Tower on Friday. The second prize in the recitation category was handed to Ezzat Sayyid Rashid from Egypt and the third prize went to Mahmood Salman Ali from Bahrain. Reciter Sabruddin Abdulrahman from Indonesia was selected as the fourth winner and the fifth was Najam ul Hassan from Bangladesh. In the memorization category, the second prize was given to Ainul Arefin Rafiqul Islam from Bangladesh, while Abdullah Omar from Libya got the third prize. The fourth and fifth awards were handed to Mahdi Khair Al-Balil from Sudan, and Abdul Malik Muhammad Rahim from Afghanistan. A jury panel of 14 selected from Egypt, Malaysia, Algeria, Indonesia, Syria, Iraq, Turkey, Lebanon and Iran judged the event. Egyptian master Quran reciter Ahmed Naina was among the jury members for this yearâ��s competition. Over one billion Muslims around the world are now fasting in the month of Ramadan. As it is called the month of fasting, Muslims are obliged to refrain from having any kind of food and drinks, from dawn until dusk. They should also abstain from any wrongdoings. Not only is Ramadan the month of fasting but it is also the month in which the whole Quran was revealed to Prophet Mohammad. Therefore, during this month, Muslims read Quran more, and try to recite the entire Quran once or twice. Tens of Quran exhibitions are also held in different cities across the country. The capital hosts 21st International Holy Quran Exhibition in its Grand Prayer Grounds. 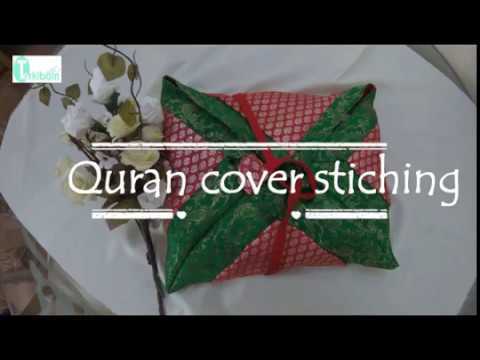 Exquisite Quranic works and products are being showcased; and different expert forums are being held to illustrate the role of the Holy Quran in building an Islamic lifestyle. In this edition of the show, we will take a closer look at the Iranians\\\' lives In Ramadan and the 21st Quran expo being held in Tehran. [31 July 2012] 20th Intl Holy Quran Exhibition in Tehran - English Holy Quran exhibition during time of spiritual reflection and worship. During the fasting holy month of Ramadan, when many devout Muslims try to recite the Holy Quran, the 20th International Holy Quran Exhibition has opened in Tehran. State organizations in Saudi Arabia have desecrated the Holy Qur\'an by discarding over fifty copies in Taif city\'s street sewerage canals. According to a Saudi official in the Commission for the Promotion of Virtue and Prevention of Vice, the incident was reported by a local student, who saw the holy books on his way home in Al-Salama district of Taif. The service company that specializes in opening drainage inlets was then called, and dozens of copies of the Quran were retrieved. A photo that shows desecrated books has now gone viral on the internet and social media websites. This is not the first time the Holy Quran has been desecrated in Saudi Arabia. Earlier this year, the move by prison officials in Al-Haer province to insult the Holy Book led to protests in different parts of the Kingdom. The desecration of the holy Quran in a country, which is the birthplace of Islam, has raised eyebrows in the Muslim world. This week\'s Islam & Life asks: How do certain stories affect the world\'s perception of Saudi Arabia? 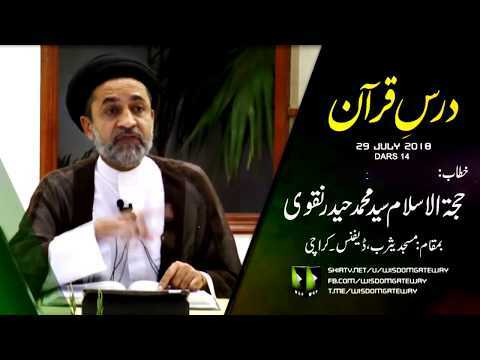 Hadith Explanation by Imam Khamenei | Recite Quran Daily | Farsi Sub English Ayatollah Khamenei explains the importance of reciting Quran everyday. We have to be intimate with Quran and recite the verses of Quran repeatedly.